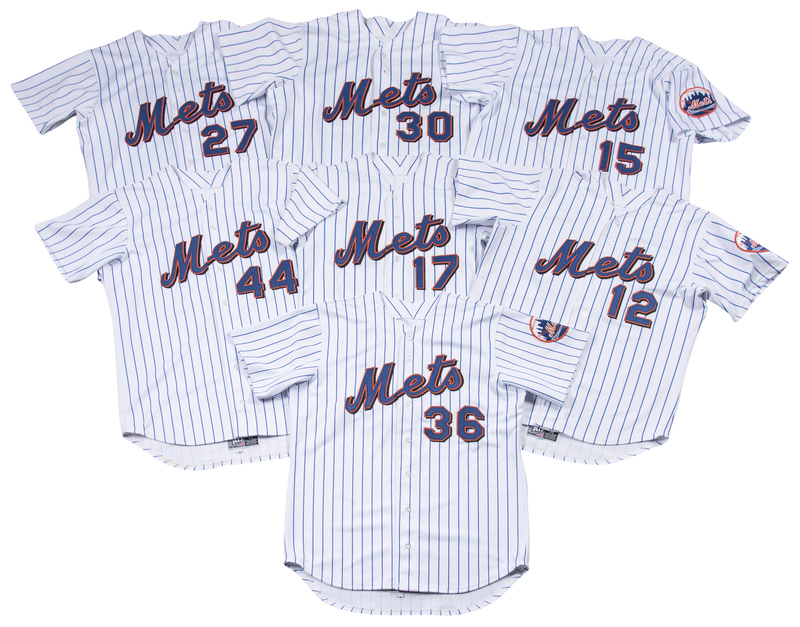 Presented here is a collection of 16 New York Mets pinstriped home jerseys. 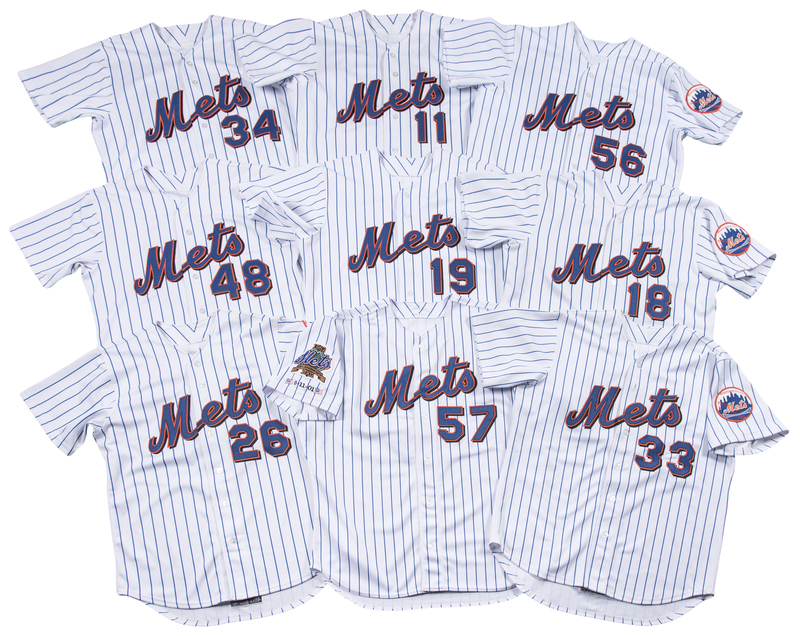 These button-down jerseys date to the late 1990’s and early 2000’s. 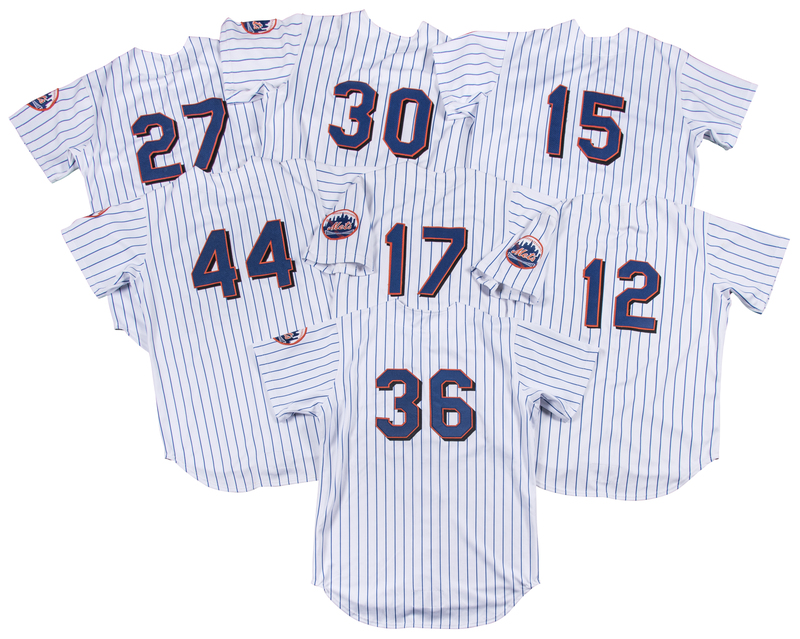 The jerseys were worn by Greg McMichael (size “48”), Billy Taylor (size “46”), Dan Murray (size “46”), Shane Halter (size “44”), Chuck McElroy (size “46”), Darryl Hamilton (size “48”), Brian McRae (size “48”), Lenny Harris (size “46”), Mike Kinkade (size “48”), Jay Payton (size “48”), Dennis Cook (size “46”), Allen Watson (size “50”), Luis Lopez (size “42”), Matt Franco (size “50”), Shawon Dunston (size “48”), and Tony Robson. 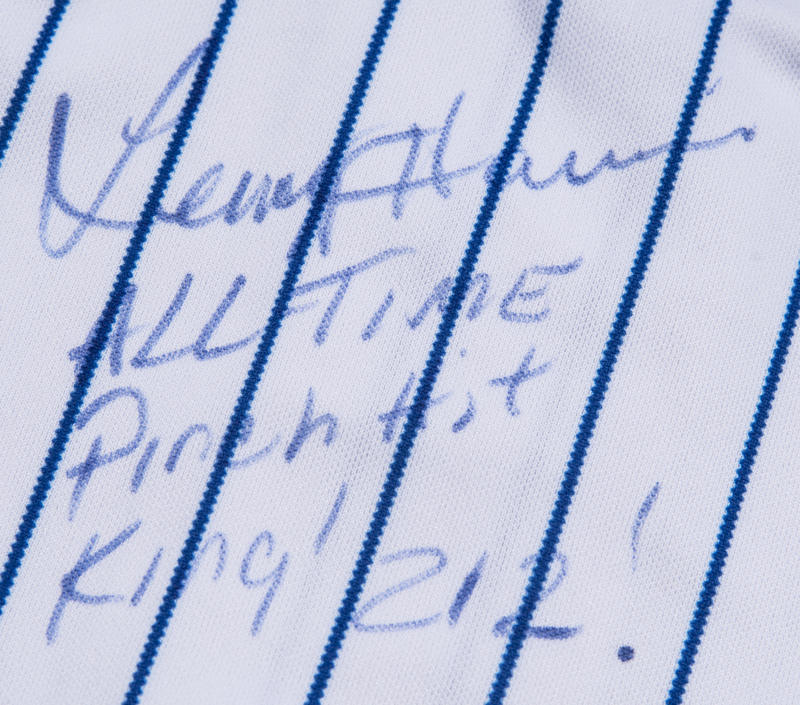 Lenny Harris has signed the back of his jersey, inscribing “All Time Pinch Hit King! 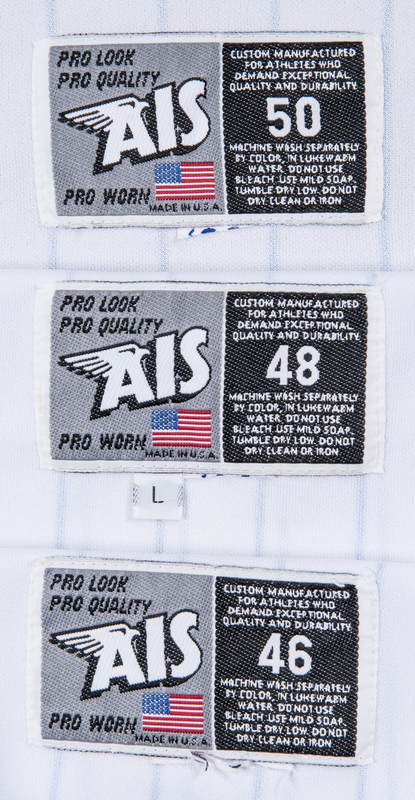 212!” in blue marker. 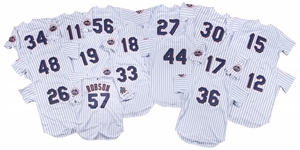 The second signed jersey is Tony Robson’s, which was worn in 2002. 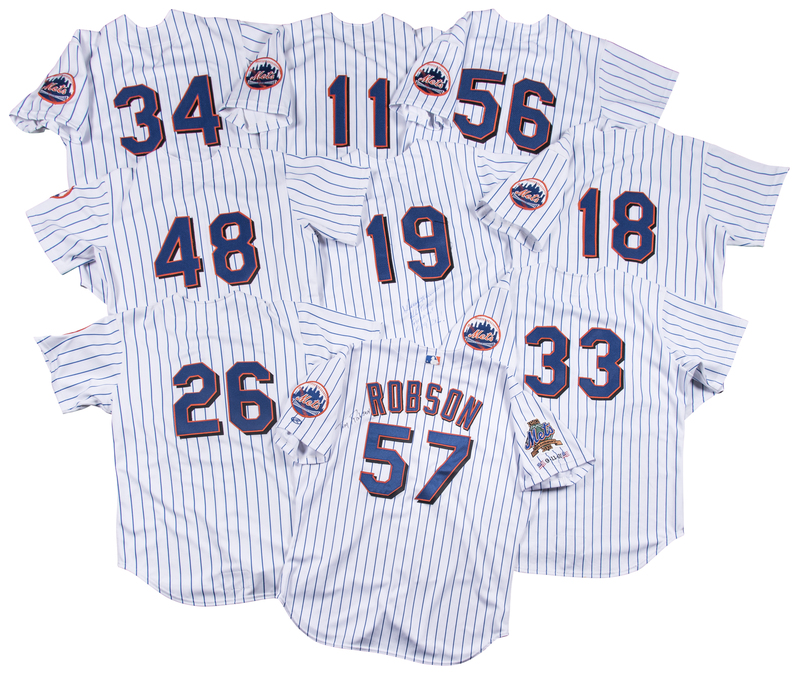 Robson has signed the back of this jersey in black marker. 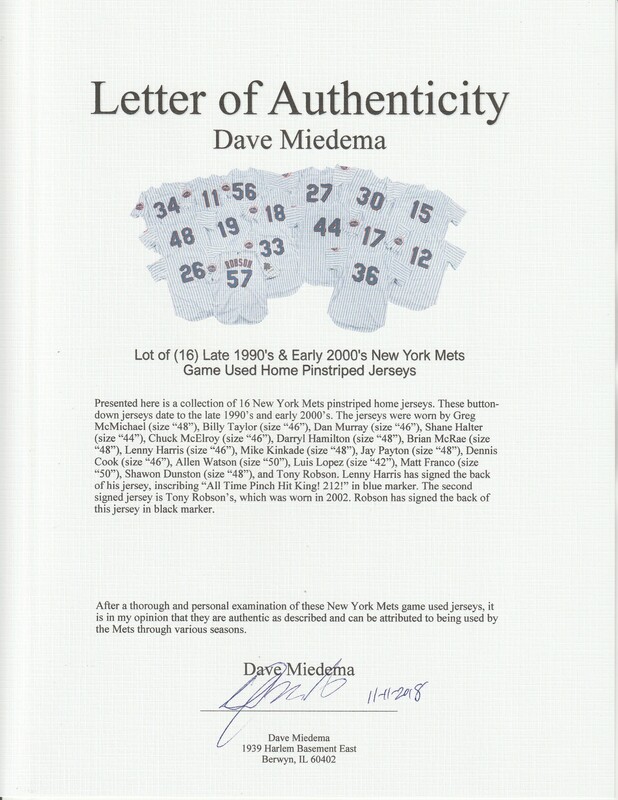 This lot has been pre-certified by Steve Grad of Beckett Authentication and comes with a LOA from noted game used expert Dave Miedema.